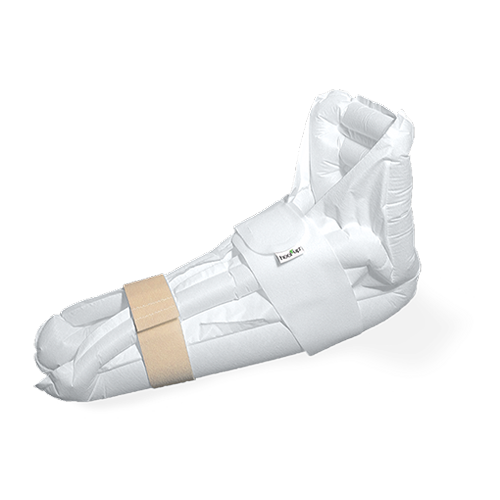 The heel up® max is designed to give complete heel offloading relief. 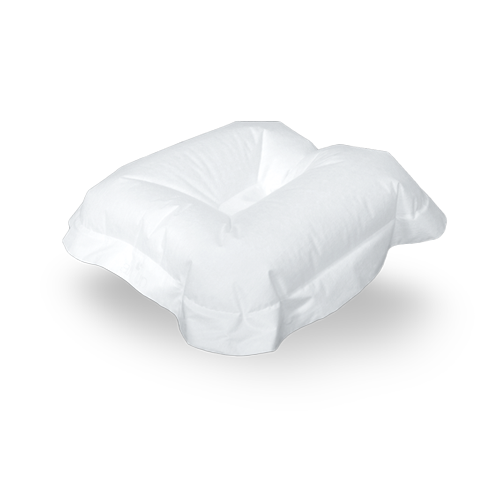 It has greater air volume within its air chambers and therefore provides maximum offloading. It is designed to comfortably accommodate the Achilles tendon whilst supporting the foot. 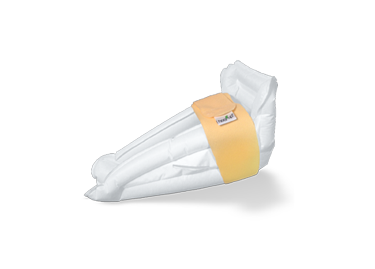 The heel up® max is an optimal positioning device when the bedbound patient needs comfortable and complete pressure offloading – ensuring even pressure and support on the lower leg up to the knee. 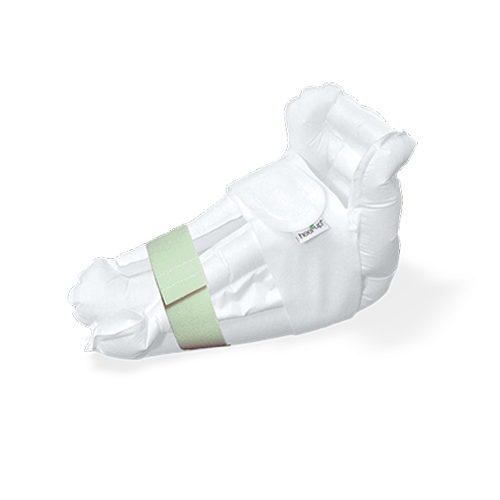 The heel up® max ensures stability without hindering the patient’s movements. Even with the slightest movement, the device will stimulate the microcirculation of the skin, which in turn optimises circulation. The heel up® max has a surface layer which is made from a soft, flexible, heat and moisture absorbent non-woven material, which makes the product comfortable against the skin. The heel up® max comes with an extra strap, which can be used to secure the product to the patient’s lower leg underneath the knee. Cost effective and affordable in preventing and treating pressure ulcers.